Researchers from Australia’s national science agency, CSIRO, have completed the first comprehensive ambient air quality study in a CSG region of Australia. CSIRO’s Gas Industry Social and Environmental Research Alliance (GISERA) led a three year study that included collecting air quality measurements through a network of air monitoring site in the Chinchilla, Miles and Condamine region of Queensland. Over the last three years, specialised instruments measured a wide range of pollutants such as carbon monoxide, nitrogen dioxide, ozone, particles and a range of volatile organic compounds (VOCs) in the atmosphere. Since 2016 the data collected was streamed live to the Queensland Department of Environment and Science website (https://www.ehp.qld.gov.au/air/data/search.php). Analysis of data revealed good ambient air quality within the Surat Basin area because pollutant levels were mostly within relevant air quality objectives for a wide range of pollutants. 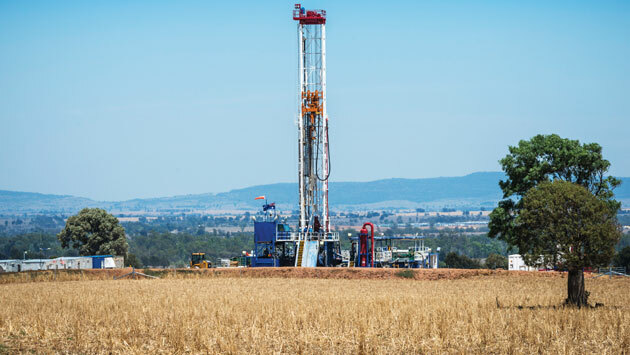 “Overall, the air quality in the region is well within relevant air quality objectives for the majority of the time for a range of pollutants which are potentially emitted by CSG activities,” CSIRO Senior Research Scientist, Dr Sarah Lawson said. Dr Lawson said concentrations of VOCs such as benzene, toluene and xylenes, commonly known as BTX, as well as formaldehyde and acetaldehyde were low and typical of other rural regions in Australia. Chinchilla township site had the highest concentration of BTX and the source is likely to be mainly from vehicle exhaust, as well as domestic and commercial sources within the town. “This study provides the largest contribution of air quality data for this region to date, and provides the community with important information about the levels and sources of air pollutants in a CSG region in Australia,” CSIRO Research Director Onshore Gas and GISERA Director, Dr Damian Barrett said. The air monitoring data can also be used by government agencies to better understand air pollutant levels and sources in the region and to inform future policy development. Study outputs can also be used by stakeholders to inform decision making around the need for future monitoring in the region. The CSIRO’s Gas Industry Social and Environmental Research Alliance (GISERA) is a collaboration between CSIRO, Commonwealth and state governments and industry established to undertake publicly-reported independent research. The purpose of GISERA is for CSIRO to provide quality assured scientific research and information to communities living in gas development regions focusing on social and environmental topics. The governance structure for GISERA is designed to provide for and protect research independence and transparency of research outputs.